The family junk drawer—there's one in every home—has evolved over the years. What started as a catch-all for notebooks, pens, and coupons now more often plays host to a graveyard of old cellphones and other clunky out-of-date tech. Closets and garages, too, are overflowing with stacks of electronics that seem just valuable enough to keep, but not useful enough to use. The e-junk scourge is here to stay; counter-measures are long overdue. In today's blog, we've presented five ways consumers can get the most out of used electronics and reduce their technological footprint; you may recognize a few. Part of the problem in parting with electronics is their initial value. We pay good money for gadgets! And, prices are only going up. By knowing your resale options, you're able to recoup some of that investment for use on the next generation of gear. Internet classified ads and garage sales, though, can be messy. Decluttr is a growing online service that handles the entire reselling process with a few clicks of a mouse. Simply describe your collection to their experts, receive a quote, and get paid to ship it off—it's as easy as that. As many of us have grown accustomed to upgrading our iPhones every year, it's important to remember the huge, likely majority, of people who may value our unused items more than we do. The emotional return one gains in gifting a functioning piece of useful technology to someone who may need or want it, whether it be a younger family member or a charitable donation, is often many times more valuable than the few bucks earned from a resell. No matter how mundane or out-of-date an item is, you can almost always find someone who'd gladly take it off your hands in exchange for a smile and a handshake. But, sometimes you can't. 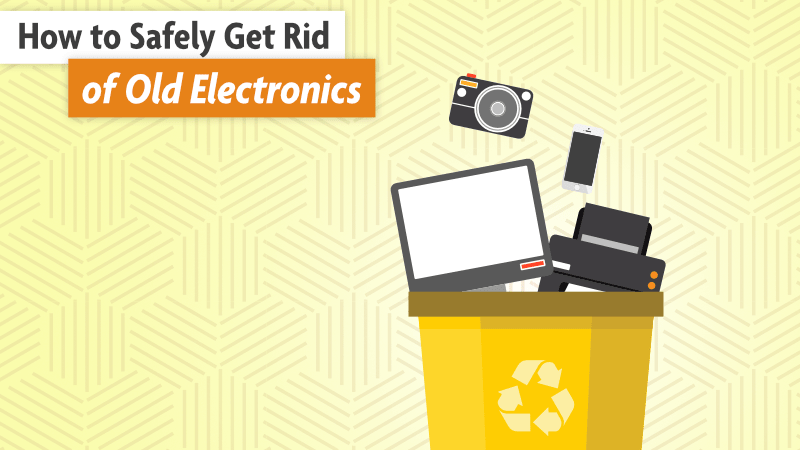 Whether you dropped a paycheck on it or not, some e-junk is, well, junk. In these instances, there are still a few remaining thoughtful options. Certain items may not be fit for your neighborhood recycling bin. It's always a good idea to double-check with a Google search before going that route, not because you'd get fined or arrested, but because the guts of some gadgets are strewn with precious metals. Silver, gold, copper and a few other valuable materials are commonly found on the circuit boards of forgotten electronics. Parts, even the tiniest of them, can be worth more when sold for scrap than they are as a whole. Learn how to find the best quality used electronics here! At the same time, if you don't absolutely have to discard something, think about keeping it around for use at a different time or place. Retro electronics are oddly fashionable and always have been. For example, record players, long thought to be a dinosaur of home entertainment, are now back and bigger than ever. The few remaining people with still-spinning record player from the '70s are probably pretty thankful they found a place to keep it until now. Take it a step further and refurbish old items to work like new ones—the best of both worlds. Lastly, you could always buy less stuff. As is the case for any investment, a larger one made in technology is more likely to last longer and provide more value in its lifespan. Buying cheaper options usually means not only a quick replacement but a few more lost inches in the family junk drawer, bin, or room.